Most of the adult population of the United States has the herpes simplex virus. This is the virus that causes cold sore flare-ups to occur. Some people may experience them frequently. Others may only get one or two blisters throughout their lifetime. But, everyone can agree that getting a cold sore is painful, irritating, and embarrassing. So, it’s no wonder people are constantly looking for home remedies for cold sores that work. Because they are so common, there have been huge strides forward in the development of over-the-counter products. 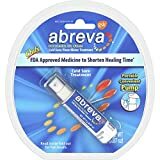 There are dozens of products you can purchase to speed up the healing process of a fever blister. These products also work by soothing painful symptoms. However, more and more people are looking for alternatives. Many over-the-counter products contain chemicals or preservatives. Some people may have negative reactions to these formulas. Others have sensitive skin or allergies. Some people simply don’t feel comfortable using products that are chemically-enhanced. Thankfully, because of the high demand for effective cold sore treatments, multiple home remedies have started to surface. These are solutions that you can use on a blister at almost any time, with ingredients you already probably have on hand. There are also vitamins that speed up recovery from cold sores. There are many home remedies listed online, and some work better than others. It’s important to be able to know which ones work, and why. Breaking down the ingredients in home solutions is the best place to start. Once you understand why a remedy works the way it does, you can feel more confident in trying it. One of the best parts of these DIY solutions is that most of them are all-natural. So, even if one doesn’t work for you very well, it’s unlikely that you’ll experience harmful or lasting side effects. This article will cover several popular home remedies for cold sores. We will go over why they are so effective and how to use them properly. If you can heal a cold sore quickly with things you have on hand, it can make the experience much more manageable. One of the biggest issues that go along with cold sores is swelling. With that swelling can come pain and even more irritation. Ice may not work to weaken the virus or heal the cold sore faster. But, if the pain is your big concern, and you’re having a tough time handling it, It’s a great way to find relief quickly. Placing a towel filled with ice or a cold compress directly against the blister can soothe away symptoms instantly. It will numb the area for a while. This will give you a chance to experience relief, and use a healing treatment without pain if you’d like. You may have used aloe vera for cuts and burns in the past. It works just as well on fever blisters. This natural healing plant will provide cooling relief to a burning, itching cold sore. It has anti-inflammatory properties, which can also reduce redness and make the appearance of the blister less embarrassing. You can use aloe vera by breaking off a piece from the plant and applying it to the blister, or you can use a topical gel containing the ingredient. If you do use an over-the-counter product, be sure it contains only natural ingredients. Keeping an aloe plant in your home is a great way to have a treatment option available at all times. The same milk you drink can be effective in soothing painful cold sores. Adding a compress of milk to the blister will soothe it instantly. It will also help to moisturize the blister and keep it from cracking. Finally, milk contains antibodies and l-lysine. 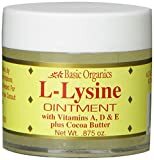 L-lysine can be found in many different cold sore treatments, as it fights back against the virus to heal blisters quickly. If you keep cornstarch around for baking, you can find cold sore relief right away. Make a paste of cornstarch and water. Apply the paste directly to the blister. Not only will it help to draw moisture from the blister and dry it out, but cornstarch will neutralize the pH level. Cold sores tend to thrive and grow in more acidic environments. When that environment is taken away, they become weaker. You should notice less inflammation. Hydrogen peroxide is another solution you’ve probably used on injuries in the past. So, when should you use it on a cold sore? Most fever blister remedies work best when they are applied to the affected area. Hydrogen peroxide is a treatment that may work best in the later stages of a blister when it’s oozing and scabbing. If a cold sore somehow cracks open, you may be at risk for other bacterial infections. Keeping it clean is essential to proper healing. A bit of hydrogen peroxide on an open blister can keep it clean and alleviate the pain that might come from bleeding and cracking. Tea tree oil is an antiseptic, antiviral, antibacterial, and anti-inflammatory agent. It is completely natural and used for a variety of different health conditions. These properties can help to soothe the symptoms of a cold sore quickly. It will also speed up the healing process and prevent any further infection. Tea tree oil is very easy to use. However, it is also very potent. You should blend it with some carrier oil (like olive oil) before applying it directly to your skin. Just a few drops of tea tree oil can go a long way, and you can apply it multiple times each day, as needed. 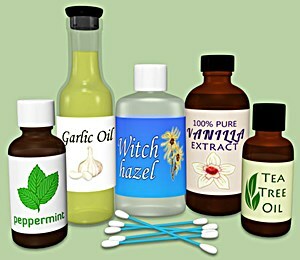 Many people also use witch hazel as a treatment, as it is an astringent. Use it similarly to tea tree oil for best results. It’s it’s the pain makes them want to get rid of a cold sore quickly. Blisters are usually most painful when they begin to ooze or crust over. Petroleum jelly (like Vaseline) provides a soothing sensation. It can help to relieve itching and irritation. It also works as a barrier and moisturizer. A cracking blister can be even more painful and can lead to infection. Vaseline will help to keep it moisturized. This is especially helpful if it’s on the corner of the mouth and frequently cracks when talking or eating. The barrier it provides will help to keep debris away. 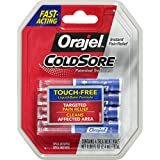 Chapsticks and balms, in general, may be able to soothe irritating symptoms of a cold sore. Like Vaseline, they can help to keep the blister moisturized and provide a barrier. However, using a solution with lemon balm is even more potent and effective. As a member of the mint family, lemon balm will provide a cooling and soothing sensation to a painful blister. It has also been known to speed up healing time, due to its antiviral properties. It won’t wipe out the virus completely, but it can keep it from spreading to healthy cells. One of the easiest ways to avoid painful cold sores is by taking precautionary measures. You may not be able to prevent them completely. But, taking these precautions can help to reduce the time between outbreaks, and make them less severe. Perhaps the easiest thing you can do when you have an existing cold sore is to reduce the risk of spreading it. Don’t touch a blister at any stage, and try to avoid scratching it. If you do touch it, be sure to wash your hands immediately afterward. Additionally, try to avoid anyone with a visible cold sore. Don’t engage in skin-to-skin contact, and never share utensils, food, etc. Finally, work to prevent outbreaks by living a healthy lifestyle. Many times it’s easy for an outbreak to occur when you have a weakened immune system or are fatigued. Be sure you’re getting the necessary vitamins and nutrients in your diet to boost your immune system and make it stronger. If you’re unable to get these vitamins through your food, consider taking supplements. The home remedies listed in this article have a lot of anecdotal success. If you’re suffering from a cold sore, getting rid of pain is probably the most important thing factor. All of the remedies listed here should help to soothe irritation and other uncomfortable symptoms. Additionally, some of the remedies listed will help to weaken the herpes simplex virus that may be causing an outbreak. Remember, nothing can wipe out the virus. However, keeping it from spreading and infecting other cells can speed up the healing time of a blister. If you’re prone to getting cold sores frequently, having treatment on hand right away is crucial. The earlier you start treatment, the better it will work. In some cases, you may even be able to avoid a blister coming through altogether. The best thing about these remedies is that they are readily available. You likely already have most of them in your home, so they are easy to use at a moment’s notice. These three cold sore products continue getting glowing reviews on Amazon. With Amazon Prime you can have them delivered to your home next day and start your treatment as early as tomorrow. Does Listerine Work for Cold Sores? Should I Put Nail Polish Remover on Cold Sores? Does Putting Salt on a Cold Sore Overnight Make It Better or Worse? Will Rubbing Alcohol Kill Cold Sores? Does Licorice Root Help Cold Sores? Is Toothpaste Good for Cold Sores? Will Coconut Oil Heal Cold Sore Blisters & Scabs Faster? Does Green Tea for Cold Sores Really Work? 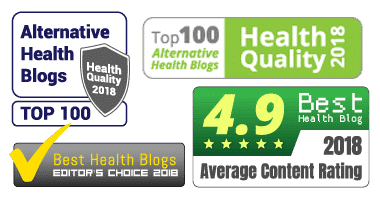 Manuka Honey for Cold Sores – How Do I Use It? Does It Really Work?